Beets, beets, beets! We ate lots of beets growing up because dad grew them and mom canned them! I still do like them and grow them each year mainly to eat in salads. 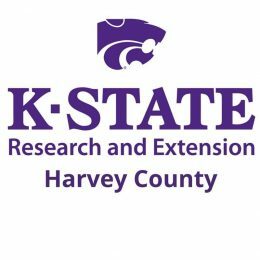 Beets are a popular vegetable and can be grown as a spring or fall crop in Kansas. Have you ever thought about a new way to raise vegetables? 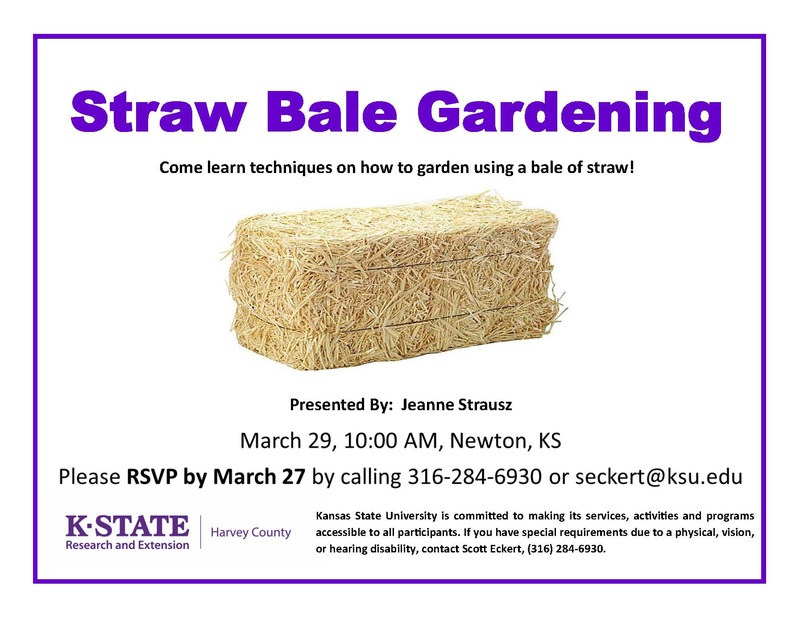 On March 29 at10:00 AM you can learn how to grow in the program “Straw Bale Gardening”! Please RSVP by calling our office at (316) 284-6930. Gardening inside in the winter! Yes, there are ways to garden inside in the cold winter months in Kansas. This idea is not so far-fetched if you consider growing selected citrus plants indoors. Most varieties of oranges and other citrus grown commercially in warm climates are too large to be grown indoors. There are several species that make good houseplants when cared for properly, however. Lemon and lime are probably the best citrus to use for starting plants. Obviously, you will need fruit with seeds you can harvest from them. There are many varieties that are seedless so it may be an experiment for you to find seeds. You can try to experiment with tangerine. I have had some luck with grapefruit as well. The culture of citrus plants is not particularly difficult if the following requirements can be met. Well the leaves are starting to fall and what a site it is! As is every year there is the question of what to do with the leaves after falling. Hopefully you have plans such as adding them to you compost pile or mowing them into your lawn. 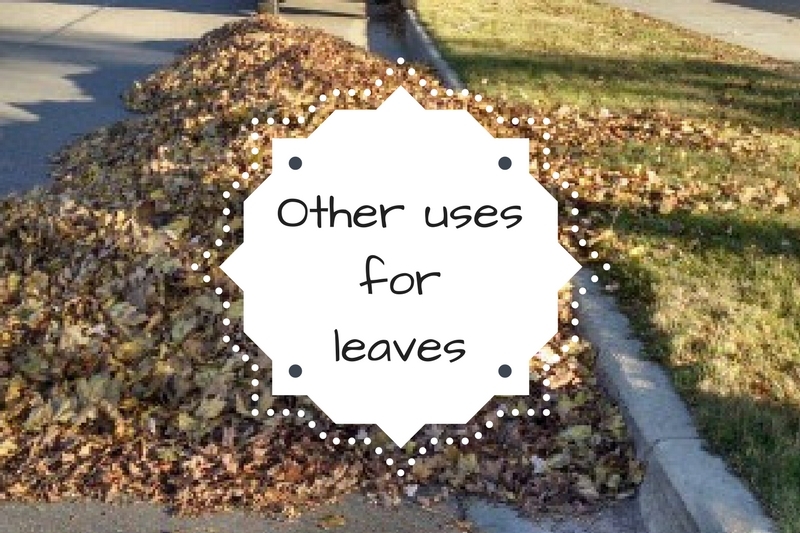 However, there is another use for leaves! Autumn is an excellent time to add organic materials and till garden soils. Winter can still be a good time to take care of this chore as long as the soil isn’t frozen. It is far wiser to till now than to wait until spring when cold, wet conditions can limit your ability to work soils easily. Working soil when it is wet destroys soil structure and results in hard clods that are very slow to break down. On the other hand, dry soil may need to be watered so it can be more easily tilled. Be sure to wait several days after watering to let soil moisture levels moderate. You want the soil moist, not wet or dry, when tilling. There is a limit to how much organic material such as leaves can be added in one application. Normally, a layer 2 inches deep is adequate with 5 to 6 inches being the maximum that can be added at one time. Shredding the material before application encourages faster and more complete decomposition due to increased surface area. Remember, soil preparation is an important key to a successful garden.